One major dilemma that has confronted the administration of President Umar Musa Yar'Adua is it's snail-like towards national issues and policy execution. Earlier this year, the country woke up to the news of the sudden sacking of almost all the serving ministers. It took an agonizing long period of time before the president had them replaced, in which several matters of important state issues were temporarily left half way tended. When it seemed almost unbearable, the president finally submitted his short listed names to the National Assembly for final scrutiny and approval. Amongst the new ministerial entrants and reshuffled personalities, one candidate stood out from the rest of the pack; and she is no other than the formidable Professor Dora Akunyili, the Hon. minister of Information and Communication, erstwhile boss of the dreaded National Agency for Foods and Drug Administration Control (NAFDAC). In the characteristic nature of Nigerian critics, her appointment into the information and communication ministry was met with mixed reaction and at most, she received a fair share of disapproving comments from few quarters. Be that as it may, the iron lady went straight to work in her characteristic no-nonsense manner, first of all, to acquaint herself with her new portfolio, and to pilot her domain in a manner that would no doubt, cause her detractors to swallow their words. One glaring issue that she first of all intends to tackle in her tour of duty is the re-branding of the much-battered image of Nigeria,. Nigeria has been called every foul name that can be imagined on earth and unfortunately rightly so, as a result of the few bad eggs. Against the activities of “419er's” to those of political saboteurs in the land, who insist on spoiling the image of the country, Hon. Akunyili has a Herculean task at hand in cleaning the nation's stable. Not only is this task far different from bursting of die-hard drug cartels and fake good peddlers, this new campaign will be a serious and intriguing matter that would be a test of her resilience and ability to learn at the job. The minister has declared war on perhaps the most daring and perverse unseen enemy that has contributed to the backwardness of our nation and placed few undeserving elements in a powerful position to retain the status quo. Obviously, some sets of people are profiting from the backwardness of Nigeria, if not so, we'd have waddled out of this malaise long before now. In this, our new minister has demonstrated high level of intelligence. Nevertheless, I wish to direct the steps of the Hon. Minister to a very important area, of which her attention must lay focus on. This area is the music and arts industry'. Only a fool will argue that the art and culture industry of Nigeria is insignificant in the re-branding of the country. 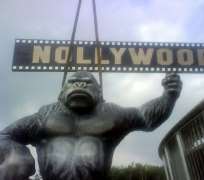 It has been established rightly that the movie industry of Nigeria (Nollywood) is the biggest in Africa and comes third after Hollywood of USA and Bollywood of India. Yet, a cursory look at the content of our home movie brands is good enough to keep well-intentioned tourists and visitors out of our shores and'. Over 90% of movies released in Nigeria, display perverted and negative impressions about the country, where violence and afro-centric sciences of juju and ritualized killings dominates the scenes. At times, I wonder where the imaginations of our scriptwriters spawn from, as a result of the kind of bizarre make belief movies they produce. Even a young Nigerian growing up under the influence of these images, iås bound to develop negative virtues about his environment and people. My import in all these dialogue is to direct the attention of Prof. Mrs. D Akunyili to the task of correcting these vibes and bringing some forms of sanity into the industry. stet music are equally lacking in moral, which poses its own challenges to its listeners across the globe, but they have evolved a lot since the drastic loss of some of their all time greats like Tupac and Biggy.